TD Ameritrade Essential Portfolios is the fully automated robo-advisor program offered by TD Ameritrade, one of the world’s biggest financial institutions. Their Selective Portfolios is the rebranding of Amerivest as a hybrid robo-advisor with a digital plus human advisor platform. The company recently reported $16.9 billion in AUM in their robo portfolios. Essential Portfolios was rolled out in 2016, and is referred to in its plural version because it actually includes five different portfolios. Each portfolio represents a level of risk associated with an investor’s own profile. Once a portfolio is chosen for an investor, TD Ameritrade handles all aspects of investing, including periodic rebalancing. One of the advantages to using a robo-advisor offered by a major investment brokerage firm like TD Ameritrade is that you can access all the services of a large investment brokerage firm. For example, TD Ameritrade has more than 100 branches located in major metropolitan areas accross the U.S. DIY investors can also trade individual stocks and funds through the brokerage firm at the low rate of $6.95 per trade. Overview Essential Portfolios-Typical robo-advisor. Selective Portfolios - robo-advisor + human advisor with passive + active management strategies. Top Features Digital and hybrid investment management options. Access to TD Ameritrade products + services. Investment Funds All Morningstar Recommended. Diversified, low-cost index funds (ETFs + mutual funds) from six different asset classes for Essential portfolios. Actively managed funds available for Selective portfolios. TD Ameritrade Products and Services – One of the greatest advantages of investing with TD Ameritrade Essential Portfolios is being part of the TD Ameritrade family. Not only do they offer diversified investment brokerage services, but also provide banking services through TD Bank. It is the 11th largest banking institution in the US, with more than 1,300 branch locations in 15 East Coast states. Tax-loss Harvesting – This certainly isn’t a unique offer by TD Ameritrade Essential Portfolios, since it’s offered by other robo-advisors. But what makes it stand out is that the service is offered on all taxable accounts, regardless of account balance. Other firms offer the service, but often only on larger account balances. And some robo-advisors – like M1 Finance, Vanguard Personal Advisor, and E*TRADE Adaptive Portfolio – don’t offer it at all. Easy Account Access – TD Ameritrade Essential Portfolios has some unique ways to access your account; Facebook Messenger, Amazon Alexa, or using iPhone X Face ID. Dividend reinvestment – This service is not offered. Instead, dividends are swept into a cash account. Many Portfolios Available – This robo-advisor plus human advisor offers 15 portfolios across five distinct strategies. There might be active funds, to meet certain investment goals as well as passive index fund strategies. Financial Consultants – Investors have unlimited access to financial advisors in person, at a TD Ameritrade branch and by phone. These financial advisors hold Series 7 and Series 66 licenses and might hold the CFP designation. Financial Consultants assist clients in creating in-depth financial goal plans and engage in broader discussions about a range of wealth management issues. 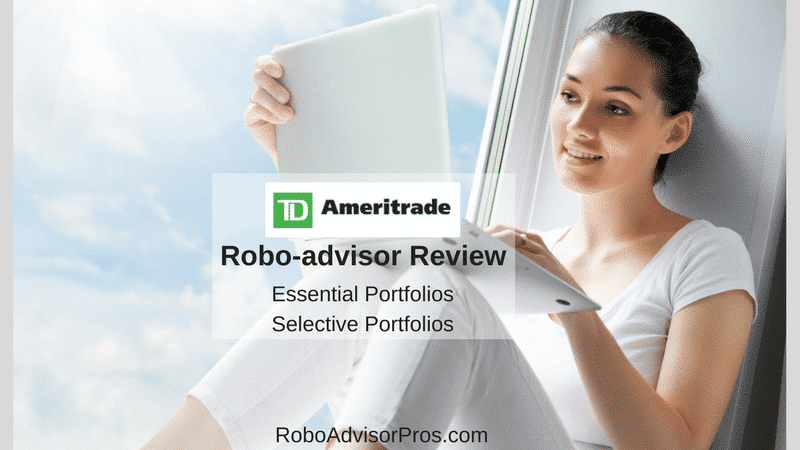 Who Benefits from the TD Ameritrade Robo-Advisors? 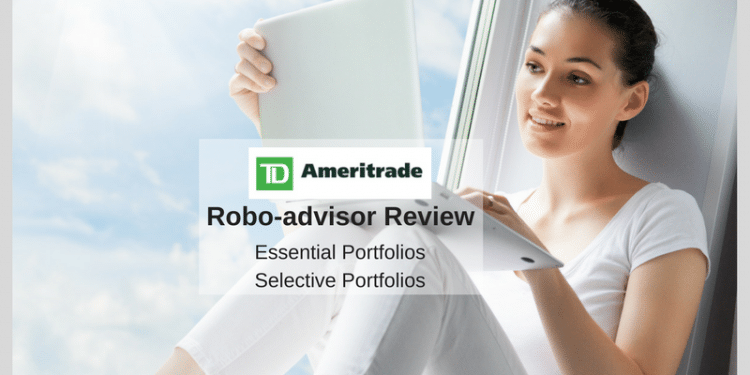 TD Ameritrade Essential Portfolios is beneficial to investors concerned about robo-advisor stability. The robo-advisor trend has been around for less than 10 years, and many of the competitors are standalone platforms that have only been around for a year or two. TD Ameritrade Portfolios has the advantage of being part of one of the largest financial institutions in the world. Given all of the financial services offered by TD Ameritrade, in conjunction with TD Bank, an investor can have some of their money professionally managed through the robo-advisor(s), while participating in do-it-yourself investing through the larger brokerage service. TD Ameritrade Essential and Selective Portfolios also offer round-the-clock customer service. This is great if you work odd hours. You can reach a representative by phone or live chat at all hours. The TD Ameritrade Selective Portfolios are suitable for investors with more complicated financial situations and those investors seeking in depth personal financial planning. Tax loss Harvesting. Essential portfolios ETF – based robo-advisor platforms offers tax-loss harvesting on all account sizes, as well as automatic rebalancing and virtually unlimited customer contact. Some Selective ETF portfolios also offer tax loss harvesting. Selective portfolios also offfer tax loss harvesting, when appropriate. Account Types. The account options are vast including taxable accounts, the full range of IRAs, trusts, custodial accounts and several business IRAs. ETFs used. Unfortunately, TD Ameritrade doesn’t disclose the specific ETFs that are held in each asset class. But they do indicate that they do not include proprietary ETFs (those offered by TD Ameritrade). The funds included are either from Vanguard or BlackRocks’s iShares. They are selected based on recommendations from Morningstar, and have a rock bottom weighted average expense ratio of between 0.06% and 0.08%. TD Ameritrade Essential Portfolios Mobile App. The mobile app is available with iOS and Android apps. Selective Portfolios offer a wider range of investment options than Essential Portfolios. Selective Portfolios include 15 portfolio options which include both active and passive strategies. Selective Portfolios options include: core, supplemental income, opportunistic, and managed risk portfolios. These portfolios vary in regards to risk tolerance, rebalancing frequencies, tax treatment, products (mutual funds or ETFs), and investment approach. For example, the income portfolio is an actively managed option diversified across a range of income-generating asset classes, credit quality and interest rate sensitivity to maximize yields for given risk levels. There are five different portfolios, and each contains at least a tiny allocation of each asset class, including cash. Cash represents a 1% share of each portfolio. The asset allocation in each portfolio is described in the table below. The broad asset split between stocks, bonds and cash is listed at the bottom of each column. Signing up for TD Ameritrade Essential Portfolios is a simple online process. First, choose your investment goals – retirement, wealth generation, education, or some other purpose. After you’ve provided that information, you’ll need to determine your risk tolerance. This is based on a question in which you rate your own risk tolerance, lower, fairly low, medium, fairly high, or higher. The sign-up process offers a valuable feature that enables you to project the probability of attaining your investment goal, based on your initial investment, monthly contributions, and expected rate of return on investment. Once the confidence number, or investor score, is defined, you can make adjustments to help improve your chances of reaching your goals such as increasing your monthly contributions. The TD Ameritrade tie-in provides institutional stability, as well as brokerage and banking services provided through the TD Ameritrade family. In 2017, TD Ameritrade garnered the best returns of 16.47%, of the major robo-advisors. 24/7 customer contact by phone or chat. This is a welcome feature with automated investing. Local branches, for investors who prefer face-to-face contact over online/phone only. Essential portfolios have access to financial advisors for basic questions and the Selective customers receive in depth financial planning assistance. Tax-loss harvesting is available on all taxable accounts, regardless of account balance. The Essentials confidence score gives you a quantifiable metric to help determine if your plan is reasonable, or not. The Portfolios use ETFs and mutual funds recommended by Morningstar Investment Management, to remove any proprietary products and bias. The Essentials fee structure of 0.30% is in the middle of the robo-advisor range, which falls between 0.00% and 0.50%. 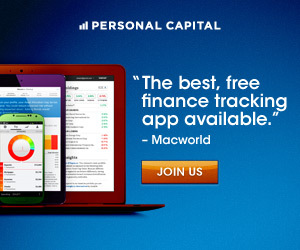 Popular competitors Betterment and Wealthfront charge just 0.25%, with Wealthfront managing the first $10,000 for free. But a more direct competitor among large diversified investment brokerages, is Charles Schwab Intelligent Portfolios. It has no management fee at all. The Selective hybrid fee is 0.75% is on the high end of robo-advisors with human advisor access. 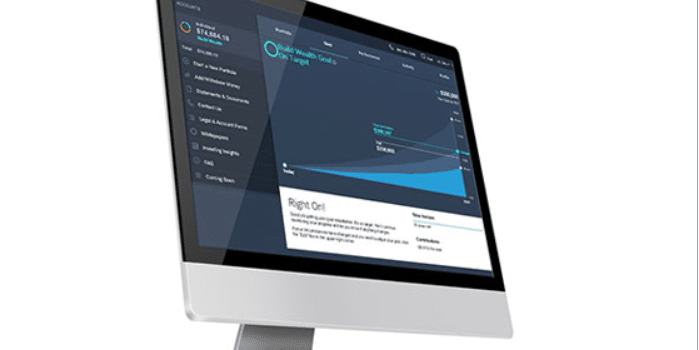 Ellevest Premium charges 0.50% and Betterment Premium levies 0.40% of AUM. The Essentials portfolio allocation is entirely invested in stocks and bonds. Other robo-advisors include real estate and precious metals (Charles Schwab Intelligent Portfolios and Wealthfront), value investing (Charles Schwab Intelligent Portfolios) or socially responsible investments (Betterment and Wealthsimple). Although this could change in the future, and it’s hard to argue with top 2017 performance for TD Ameritrade. Actual ETFs used in asset allocations are not disclosed until your account is opened. It might be helpful for investors to know specifically which funds their money will be held in. No automatic reinvestment of dividends. The Essentials minimum initial investment requirement of $5,000 might limit new and small investors. The Selective Portfolios financial advisors are not all CFPs, a higher credential than Series 7 or Series 66 licenses. Although TD Ameritrade states that their reps are trained to handle typical client questions. TD Ameritrade Essential Portfolios is well suited for investors with a TD Ameritrade account and want a managed option. Their 2017 winning performance is impressive. Also, this robo might be right if you want a robo-advisor option in conjunction with a large, diversified investment brokerage platform. TD Ameritrade Essential Portfolios won’t appeal to those who are looking for either a very low cost provider, or a more diversified investment portfolio. The portfolios are limited to stock and bond funds (for now) and lack the alternative asset allocations that other robo-advisors are adding to increase the depth of their portfolios. The TD Ameritrade Selective portfolios charge higher fees than many competitors and their advisors might have fewer credentials than their peers at other hybrid models. If you’d like additional information, or if you’d like to sign up for the service, visit the TD Ameritrade Essential and Selective Portfolios website.